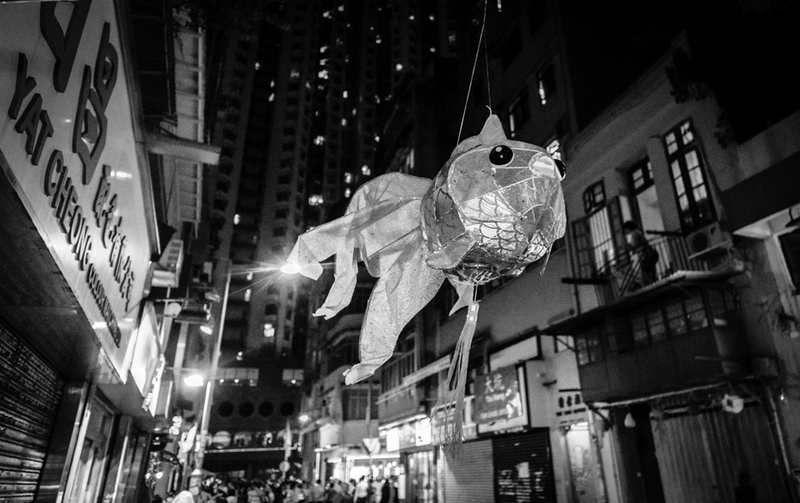 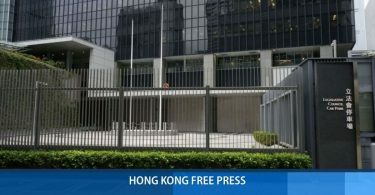 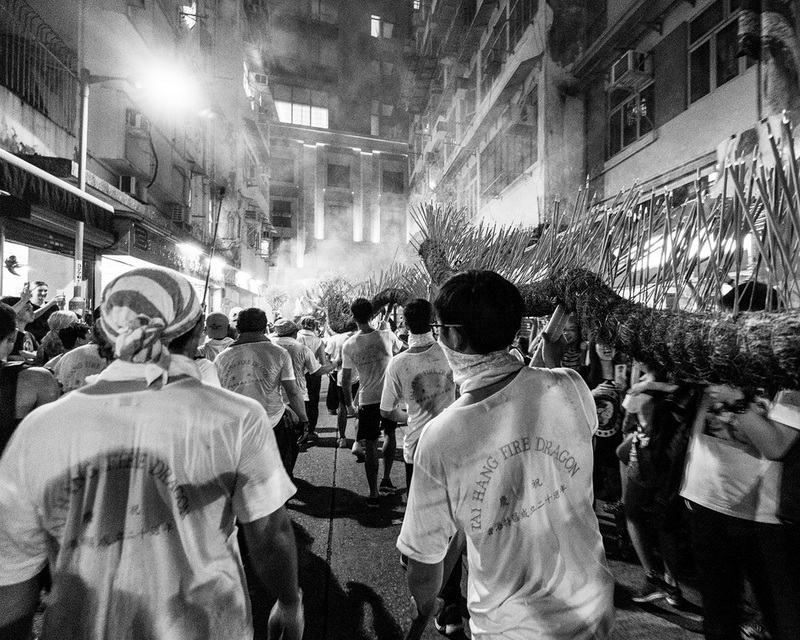 Established in 1982, Cathay Camera Club is a Hong Kong based photography club that brings together photographers of all skill levels and nationalities. 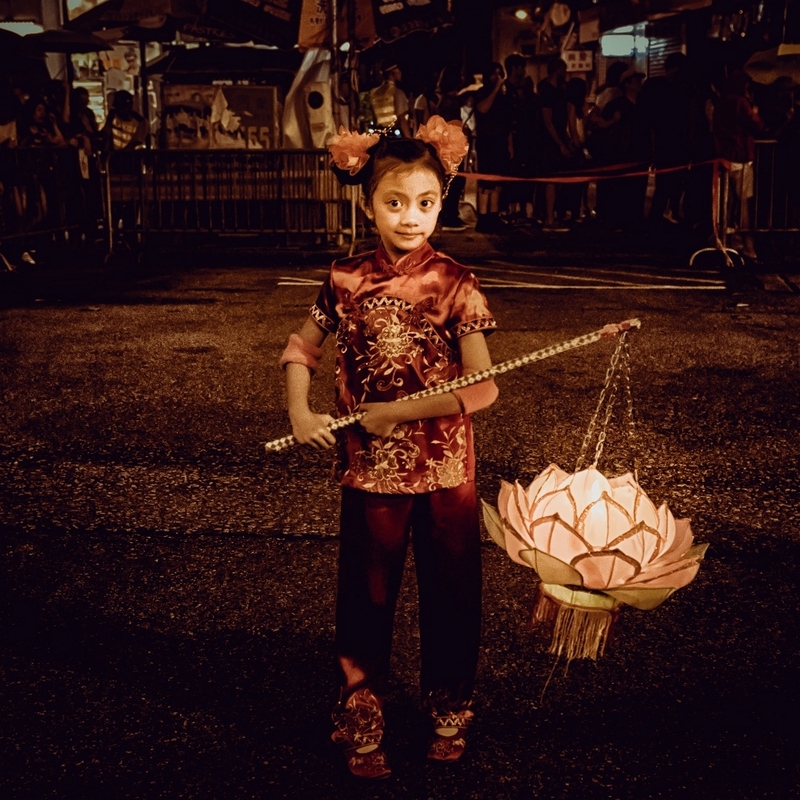 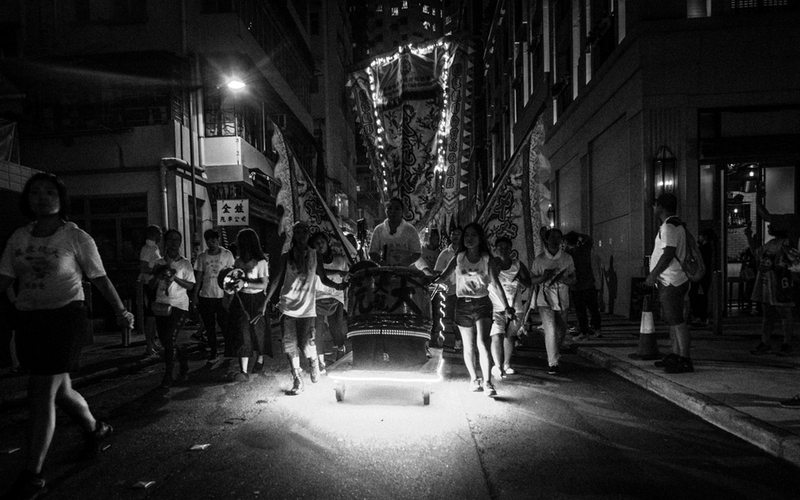 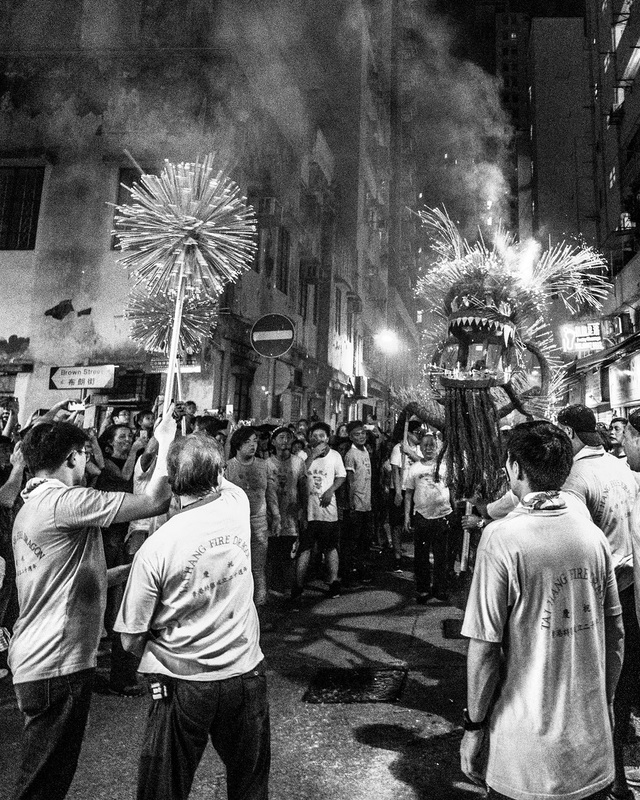 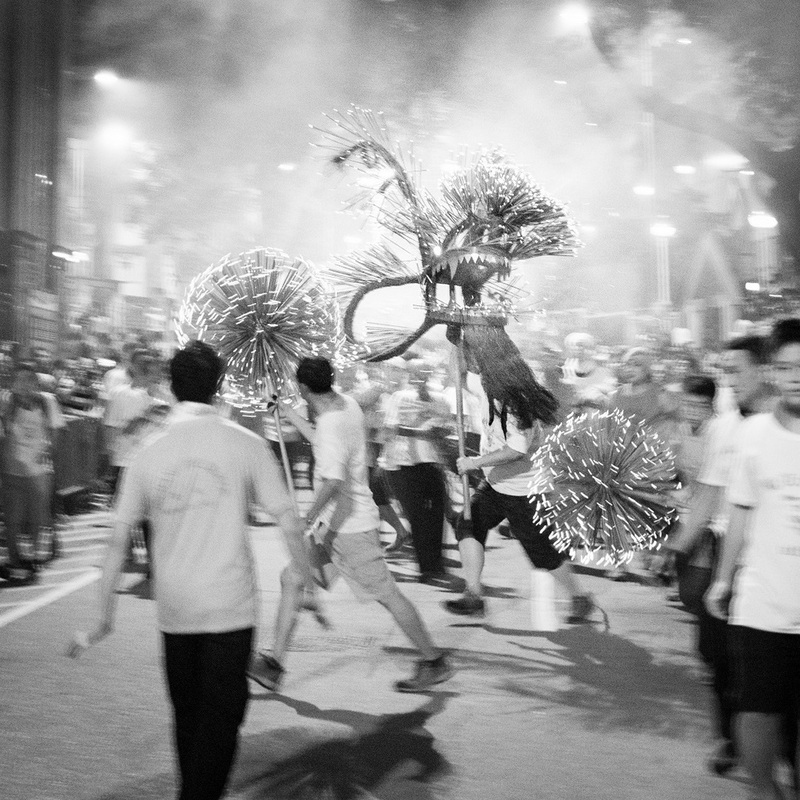 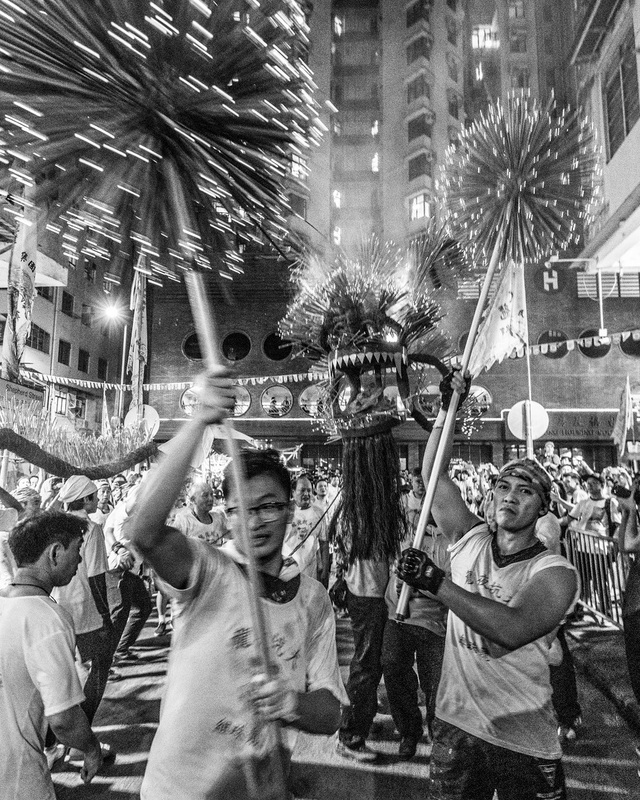 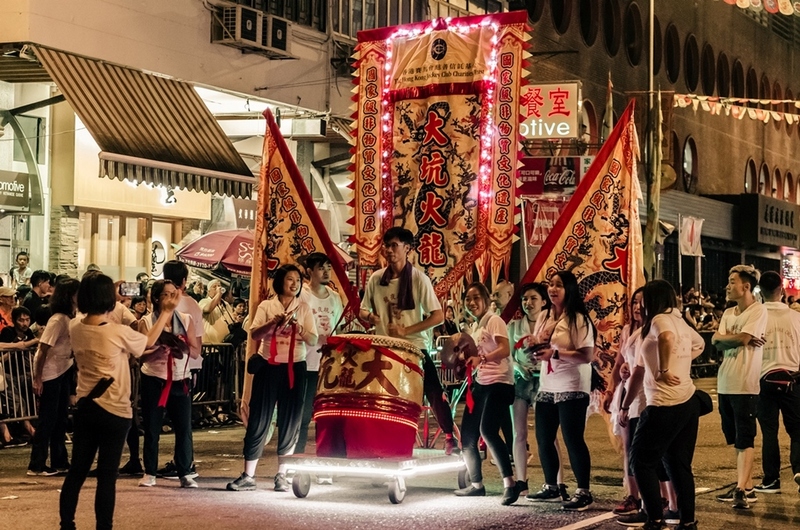 One of the club’s recent outings was shooting the Fire Dragon Dance in Tai Hang, during this year’s Mid-Autumn festival. 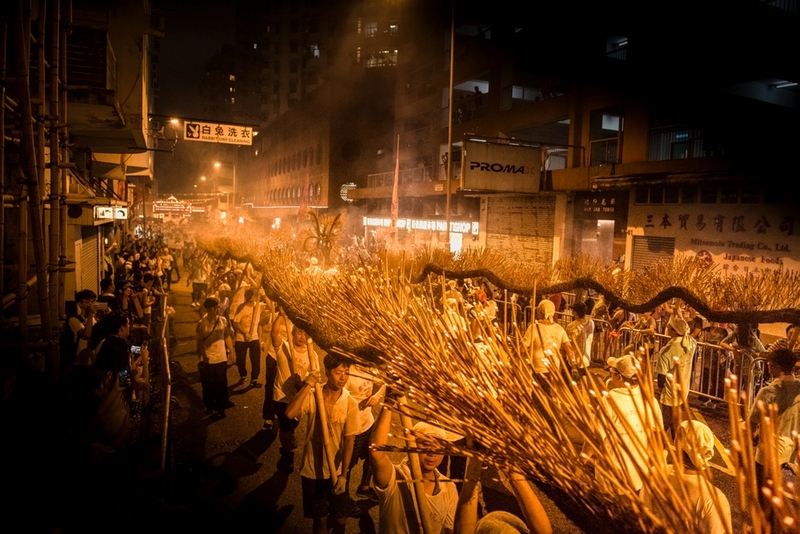 The Fire Dragon Dance Festival is celebrated on the 15th day of the eight lunar month. 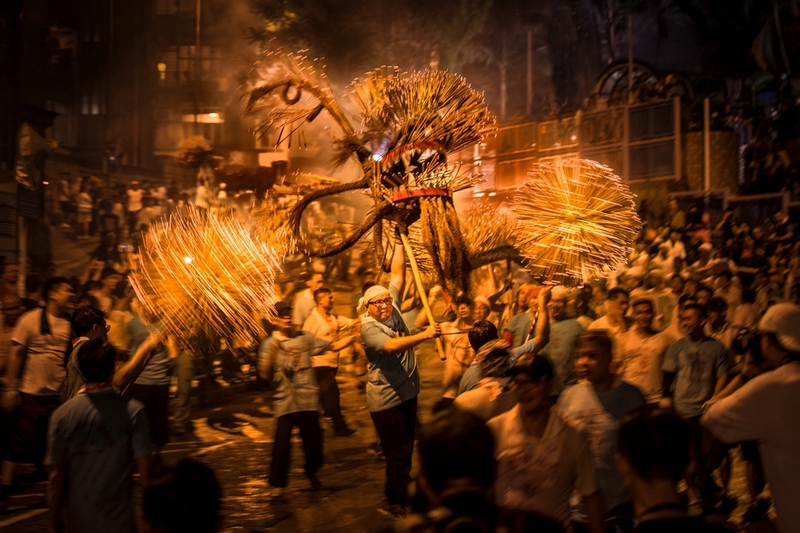 Amidst the roar of drums and gongs, 300 people carry a 67-metre blazing dragon. 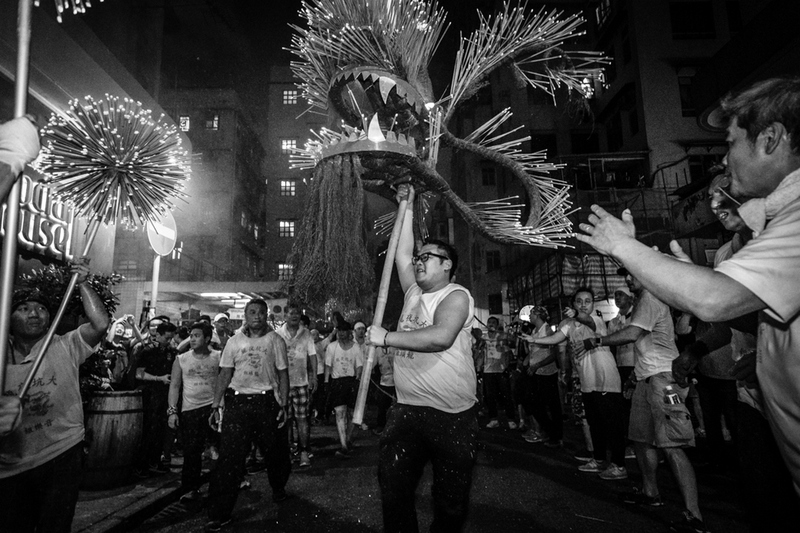 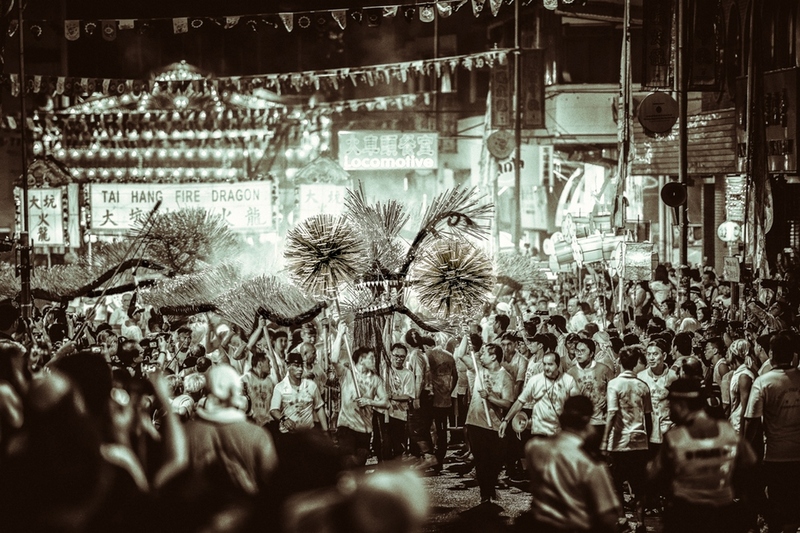 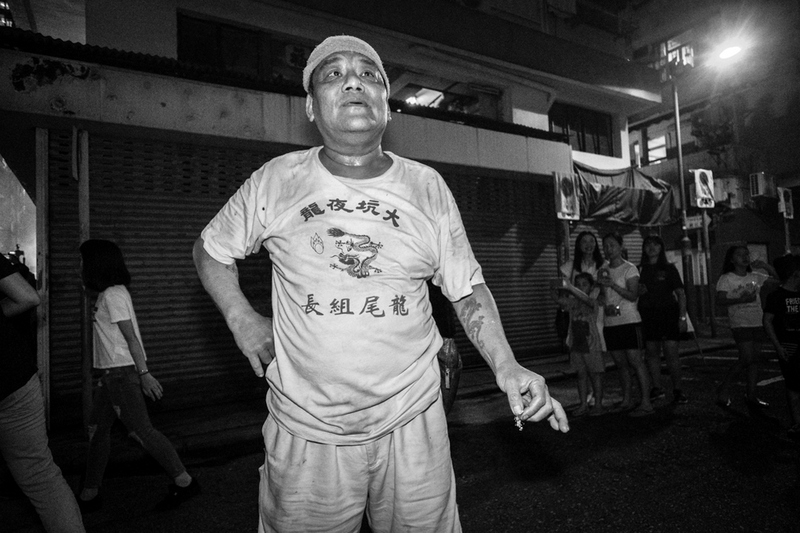 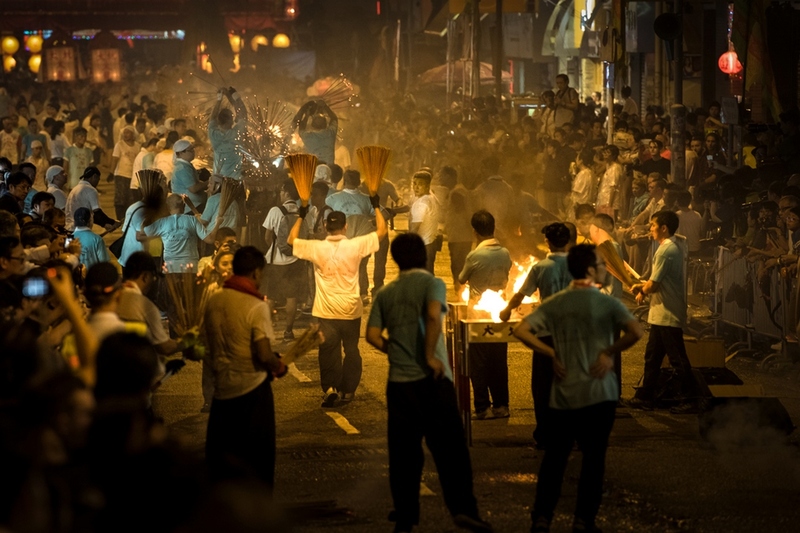 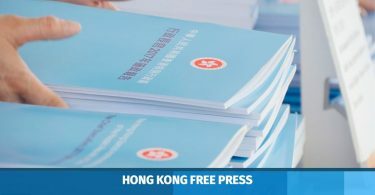 The ritual began in the 19th century, when Tai Hang was hit by a plague. 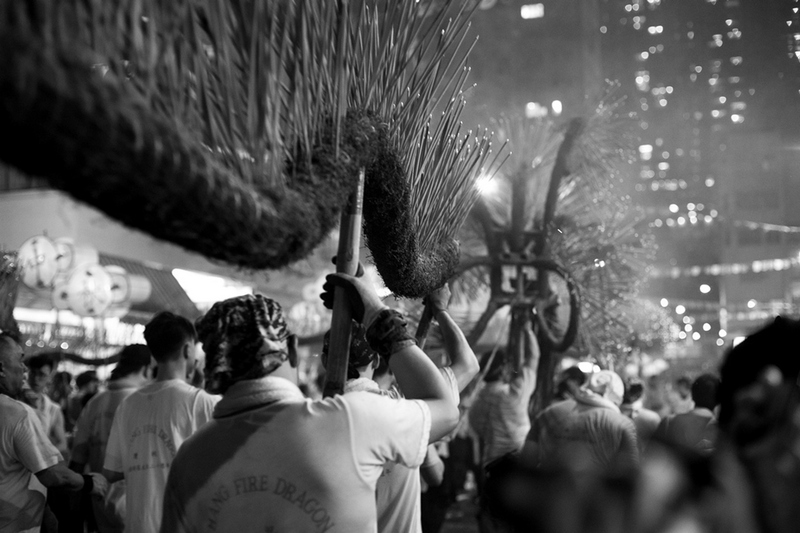 It was “dispelled” with a three-day long fire dragon dance. 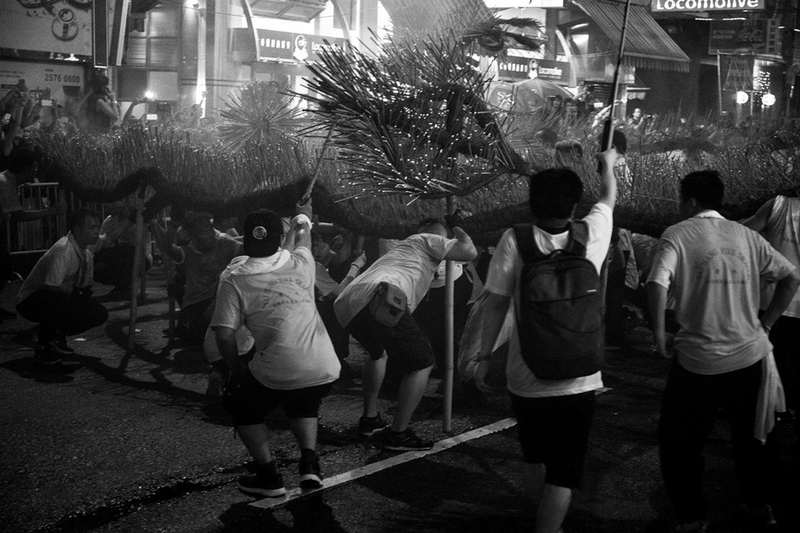 Among the 300 participants, the youngest member is 16 while the eldest is 80 years old. 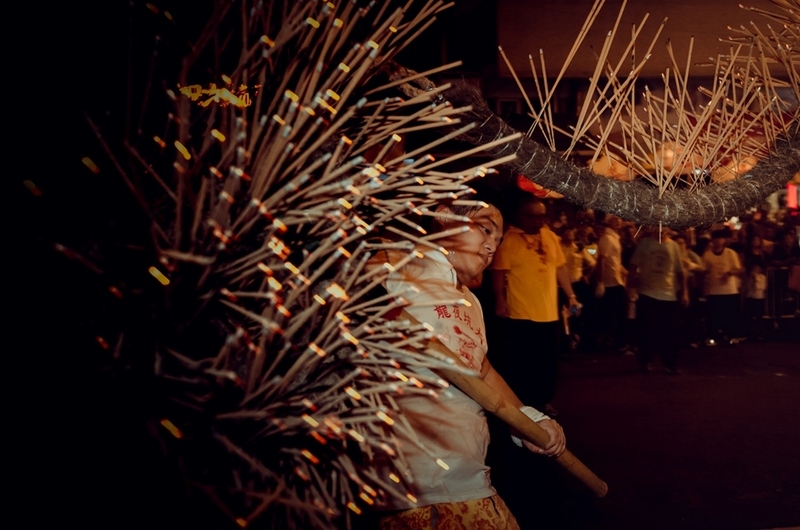 The eldest serves as the consultant and inserts the incense stick into the heart of the dragon. 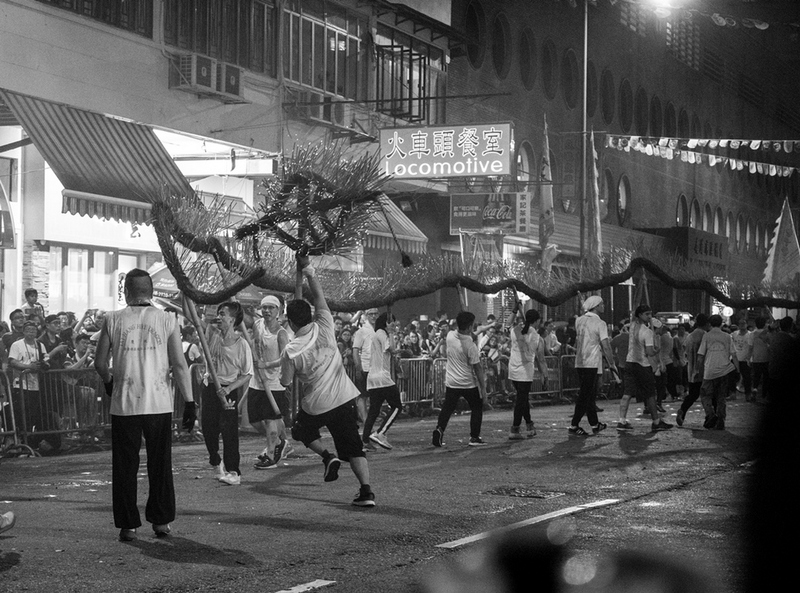 The 67-metre body consists of 31 sections. 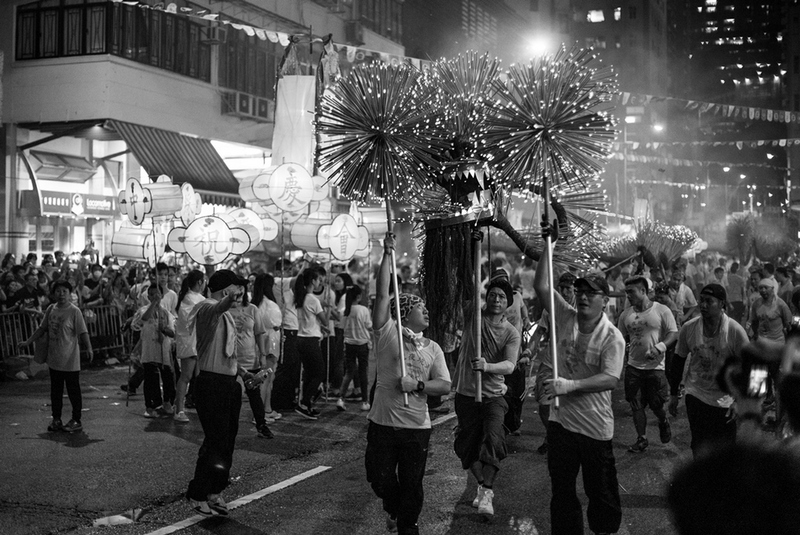 The head of the dragon weights 48kg and is formed by wrapping pearl straw around a rattan frame. 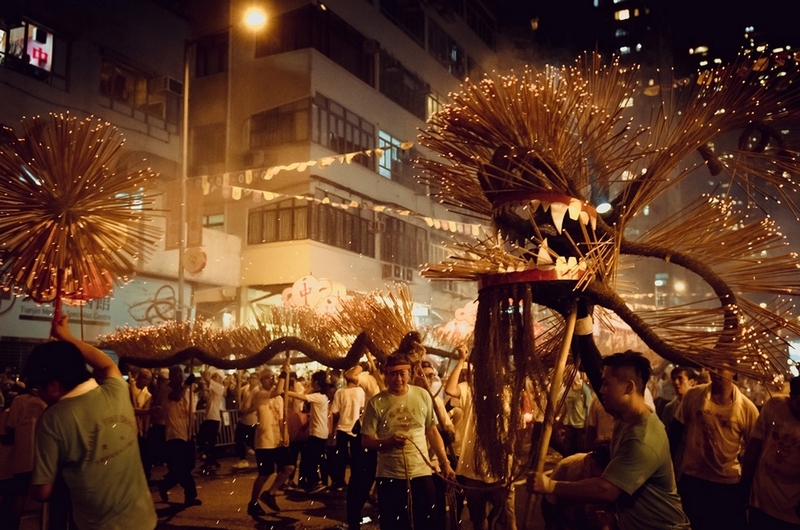 The dragon is prompted forward by two “pearls,” formed by pomelo fruits in which numerous sticks are inserted.